Congresswoman Cathy McMorris Rodgers (R-WA) discusses Obamacare and the looming government shutdown. Dana Bash, Rep. Cathy McMorris Rodgers (R-WA), Rep. Donna Edwards (D-MD) and Dan Balz preview the presidential debate. Dana Bash, Rep. Cathy McMorris Rodgers (R-WA), Rep. Donna Edwards (D-MD) and Dan Balz on what the candidates need to do to win over the women's vote. Mitt Romney and Barack Obama head to their final debate on Monday night. And with the focus on foreign policy, each man will get the chance to draw a clear policy distinction. We’ll get perspective from the Former U.S. 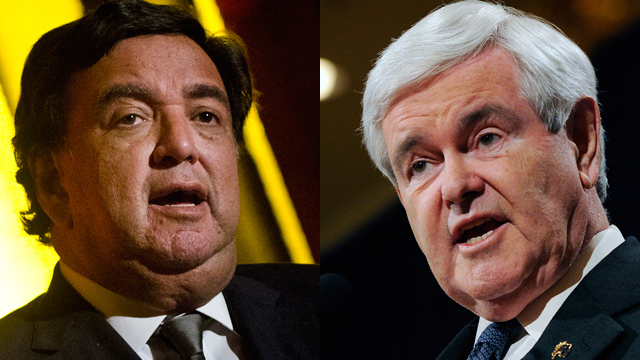 Ambassador to the U.N. Bill Richardson and Former Presidential Candidate Newt Gingrich. Winning the women’s vote. President Obama and Mitt Romney know the women's vote will tip the balance in the race to the White House. We’ll talk to Rep. Cathy McMorris Rodgers (R-WA), Rep. Donna Edwards (D-MD), CNN Sr. Congressional Correspondent Dana Bash and The Washington Post’s Dan Balz. Watch Sunday at 9 a.m & 12 p.m. ET. Rep. Carolyn Maloney (D-NY), and Rep. Cathy McMorris Rodgers (R-WA), discuss the battle for women voters in the 2012 campaign and the politics of the gender debate. Rep. Cathy McMorris Rodgers (R-WA): "The policies that Governor Romney is promoting. They are the policies that are going to help women succeed in this country... President Obama's policies are the ones that are failing Americans, failing women." Rep. Carolyn Maloney (D-NY): "I believe that women will turn out in droves to vote for President Obama in this election because they realize how much is at stake." An interview with legendary actor/comedian/writer/producer/activist Bill Cosby. He talks about politics, the Trayvon Martin shooting, and the reopening of the historic Howard Theater in Washington D.C.
And as the Presidential Campaign transitions to the General Election, some Republicans still have reservations about Mitt Romney’s ability to beat President Obama. 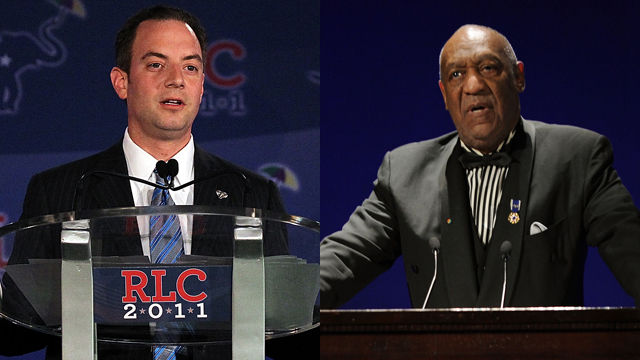 We'll ask RNC Chairman Reince Priebus how he plans to unify the party. We’ll also discuss the battle for women voters in 2012 and ask if the campaign rhetoric is over the top. Our guests are Rep. Carolyn Maloney (D-NY) and Rep. Cathy McMorris Rodgers (R-WA). And we’ll round out campaign politics with Dan Balz of The Washington Post and Matt Bai of The New York Times. Watch a preview of Candy’s interview with Bill Cosby and his thoughts on the Trayvon Martin case here and here. And Candy offers a peek behind the scenes at the CNN Washington bureau and gives a preview of Sunday's show. Watch Candy's pregame rundown here.